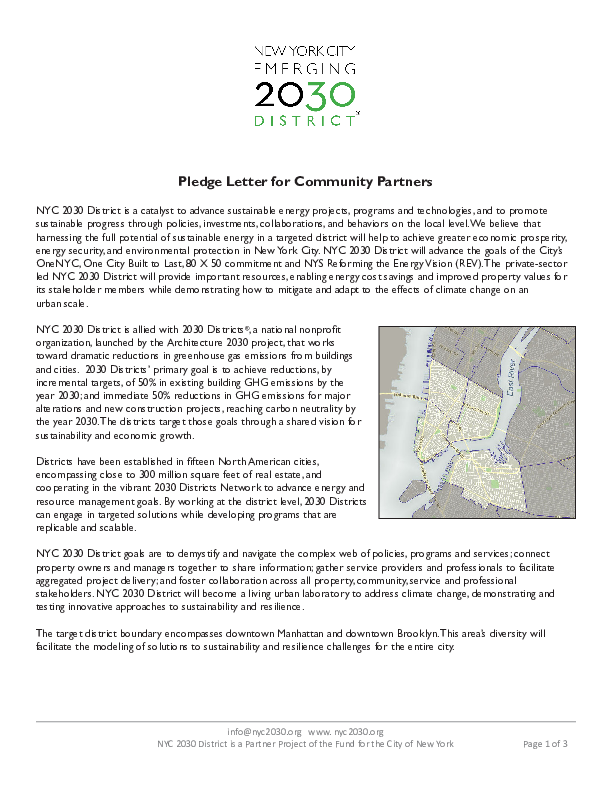 Thank you for your interest in the NYC 2030 District. 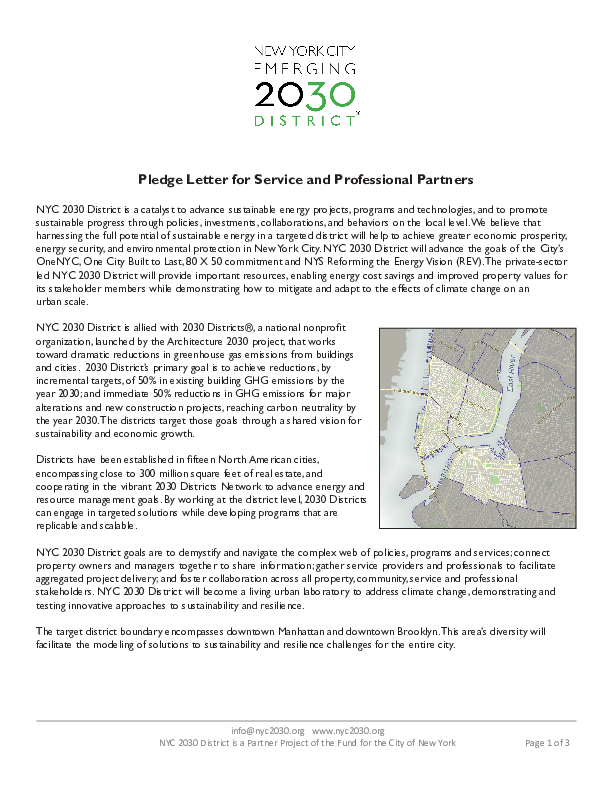 NYC 2030 District has three partner types: Property Owner/Manager Partners, Service/Professional Firm Partners and Community Partners. Only Service/Professional Firm Partners are charged membership dues. This is a collaborative effort and we seek the participation of all property owners and property managers within our boundary, as well as affiliated property, service and civic sector partners from throughout the city. 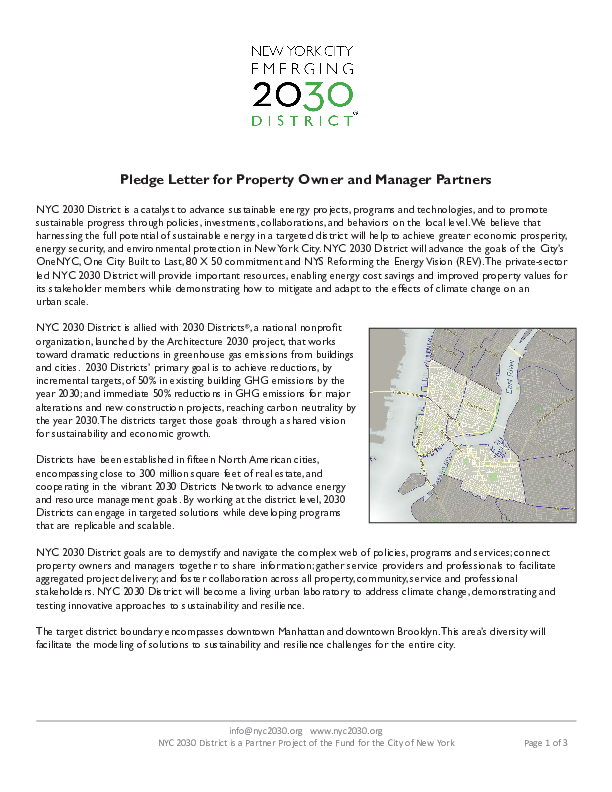 If you have any questions, please contact us at info@nyc2030.org. See District Partner Benefits page for more information. Just fill out the Interest Form and we will get in touch with you. Please see our Pledge Letters below.